By Jacob White – Underwriter. What financial resources can your client legally make use of? Parties to litigation in Northern Ireland must weigh up the risks and benefits of pursuing commercial litigation before issuing a writ or defending a claim. Without the option of funding a case under a contingency fee agreement, lawyers’ fees have to be paid as the case progresses. To pursue a claim with vigour and confidence, clients need to be well-resourced. On top of this, every client needs to be prepared to pay opponent’s costs if the claim fails. ATE insurance and fee funding have not been a significant part of the legal landscape in Northern Ireland, in part due to concerns over the laws of champerty and maintenance. Do these concerns remain a bar to insuring and/or funding cases in Northern Ireland? “That no manner of person or persons,… doe hereafter lawfully maintaine or cause or procure any unlawful maintenance in any action, demaund, suite or complaint in any of the Kings courts… or elsewhere within this his Highnesse Realme of Ireland… and also, that no person or persons… doe hereafter unlawfully retaine for maintenance of any suit or plea any person or persons, or… maintaine any matter or cause, …”. 16 Abolition of certain offences, and other repeals. (2) No person shall, under the law of Northern Ireland, be liable in tort for any conduct on account of its being maintenance or champerty as known to the common law, except in the case of a cause of action accruing before this section has effect. (2) The abolition of criminal and civil liability under the law of Northern Ireland for maintenance and champerty shall not affect any rule of that law as to the cases in which a contract is to be treated as contrary to public policy or otherwise illegal. So, could a funding arrangement be contrary to public policy or otherwise illegal? In September 2017, the Lord Chief Justice of Northern Ireland’s office published its Civil Justice Report which reviewed the rules and procedures of litigation in the Province. In a footnote in its discussion on third-party funding [p.79], the report stated that ‘there appears to be no apparent restriction on third-party funding in Northern Ireland’. It goes on to say in the body of the text that ‘funding represents a potential alternative to legal aid and… could facilitate access to justice for members of the public’. Persona Digital Telephony Ltd and other v Minister for Public Enterprise and others  IESC 27. In Persona, the plaintiffs brought a notice of motion before the High Court, seeking an order permitting Third-Party funding of the Plaintiff’s own cost of bringing the claim, including the cost of the premium for an ATE insurance policy. They submitted that the funding agreement would ensure the constitutional guarantee in the Republic of Ireland of access to justice. The Defendant submitted that the funding agreement was void and illegal and that the laws of champerty and maintenance were extant. Donnelly J concluded in the High Court that ‘there is a prohibition on an entity funding litigation in which it has no independent or bona fides interest, for a share of the profits’ [Denham C.J., para.10]. Leave was granted by the Supreme Court for a leapfrog appeal on 25 July 2016. ‘… the issues before the Court are: do the torts and crime of champerty still exist in Irish law? What are the parameters of the tort and offence of champerty? Is the professional funding agreement of the plaintiffs champertous?’ [para. 42]. ‘ (i) This investment agreement, is an agreement… to fund the plaintiffs’ case. [The funder has] no connection with the plaintiffs, apart from an agreement to fund their proceedings. It is, thus, a champertous agreement. The signs are that funding is therefore legal in Northern Ireland, but not in the Republic of Ireland. Although funding is illegal in the Republic but arguably permitted in Northern Ireland, the position as regards ATE in both jurisdictions is more straightforward. ‘28. Taken in the round, therefore, I find myself inclining to the conclusion that ATE insurance – at least in the form in which it manifests itself in these proceedings – is not on the whole champertous or amounting to maintenance. And reverting to the previous simile of secular simony, it may well be that if the venerable judges and jurists who first formulated the torts of champerty and maintenance sometime between the days of the Yearbooks of the courts of Henry IV and the emergence of the nominate law reports in the 16th and 17th centuries were to realise the direction in which the common law might now be heading, they would doubtless rise from their graves and affix their own theses of protest outside wherever the legal equivalent of Wittenberg Cathedral happens to be. Given that champerty and maintenance have been abolished in Northern Ireland, there appears to be no basis for alleging that ATE is unlawful. However, if the torts had not been abolished, we can see no reason why a court considering the issue in Northern Ireland would reach a different conclusion to that reached in Greenclean. We are of the view that funding litigation in Northern Ireland may well be lawful. ATE insurance is lawful on both sides of the border. We may be wrong and it is important that clients are given very clear and careful advice about the issues involved and any risks as perceived by their lawyer. The 2017 Report on Civil Justice stated that ‘After-the-event insurance (ATE) in respect of liability for legal fees is encountered relatively infrequently in Northern Ireland. This may be because the premiums payable are not recoverable from the losing side.’ In the rest of the UK, ATE premiums are not generally recoverable (save in media/publication cases) yet we insure large number of commercial cases each year. If you ask clients, large corporates or private individuals, whether they can afford to risk the difference between the cost of an insurance premium and the significantly greater cost of an adverse costs order, they are likely to say no. 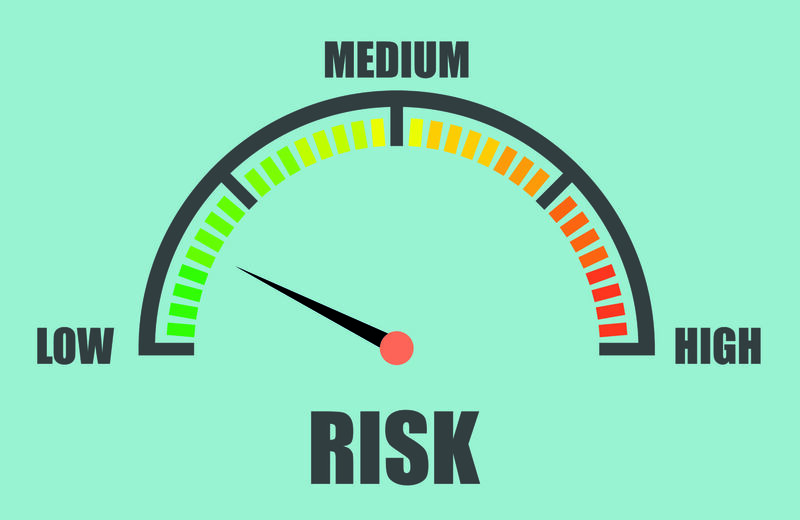 Clients require pragmatic advice when it comes to costs risk; particularly given businesses are naturally risk-averse. As the cost of litigation increases and as clients become increasingly risk-averse, funding options have a genuine and valued role to play in the litigation process. There is a need for access to such products so that clients of all financial standing have access to justice. Call us on 01483 577877 for more information about Litigation Insurance (ATE), disbursement and own fee funding in Northern Ireland and across the rest of the UK.